Put CountryPickerView repo somewhere in your project directory. In Xcode, add CountryPickerView.xcodeproj to your project. 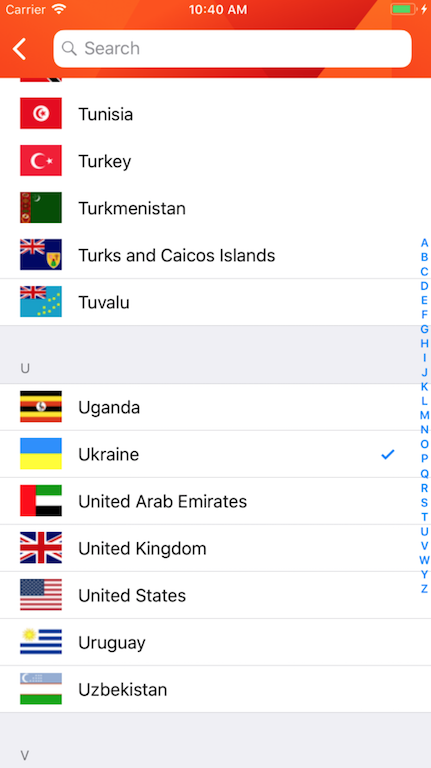 To show country picker list, where you can choose country whatever you want your UIViewController have to conform CountryPickerListDelegate where in showCountryList(output: CountryPickerListOutput) method your create instance of CountryPickerList and setup output from argument. CountryPickerView is distributed under the MIT license. See LICENSE for details.